SICKLERVILLE — The program, which ran for several hours, was filled with statistics, analysis of world events and allusions to national politics, references to Scripture and church documents, and personal testimonies. 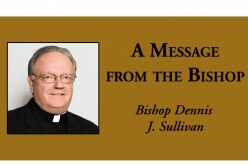 Everything seemed to add up to one simple principle: to be a Catholic Christian is to be hospitable to immigrants and refugees. In a variation on Tip O’Neill’s famous observation that all politics is local, the presentation began with a sweeping overview of migration throughout the world during the past 50 years, demonstrated the growing importance of Hispanics and Latinos in the church in the United States, and ending up concentrating on the importance of integrating migrants and refugees in the life of the church on the parish level. The program, Immigration and the Latino Community, was held May 4 at Saint Charles Borromeo Parish here. Co-sponsored by the Diocese of Camden’s Life and Justice Ministries and Hispanic Ministry, it drew some 50 clergy and religious, church leaders and parishioners. The day began with a presentation by Jeffrey Wallace of Catholic Relief Services, the overseas aid agency of U.S. Catholics. It also included the personal testimony of a Dreamer, who was brought to the United States as a 3-year-old and is now a college-educated married mother of two children and tax-paying worker, and a Stockton University student who recently visited the Texas-Mexico border. Wallace’s expertise, the young person’s testimony, and the small group discussions all led to a common theme: the importance of welcoming migrants and refugees to the parish and seeing them as equals. 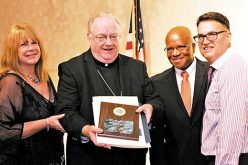 Despite common misconceptions, their presence enriches the church and benefits American society, Wallace said. His assertion was borne out by what the Dreamer and college student shared of their own experiences. The presentations and discussions demonstrated how complex the immigration issue is in America today. For example, Wallace noted that the U.S. bishops recognize that people have the right to migrant to support themselves and their families, as well as the right of nations to control their own borders. And it was noted throughout the day that there is a tendency to lump all Spanish-speaking people into one group, although they represent several different countries and cultures. But it also became clear that what’s good for refugees and immigrants is also good for American society and American parishes in general. Welcoming refugees and immigrants is just part of building community at any parish — or anywhere else. In one of the small group discussions, an attendee originally from the Dominican Republic said she became a parishioner at Saint Charles Borromeo because of the warm sense of community she finds there — and didn’t find at another church. Kim, the college student who spoke on her experience at the border, began her presentation by explaining how the Stockton campus minister helped her overcome the nervousness and apprehension she felt when she first started at Stockton. 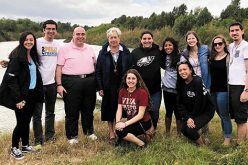 With other students and Camden Diocesan employees, Kim spent several days at the Humanitarian Respite Center in McAllen, Texas. The facility ministers to Central American immigrants who surrender to the border patrol, hoping the legal system will allow them to remain in the United States. Many are fleeing violence from their country of origin. To an extent, Kim’s testimony indicated why so many make that risky pilgrimage. Although her own parents are undocumented — and consequently vulnerable to deportation — the great needs she saw at the border were completely foreign to her. Struggling to control her emotions, she talked about the many children she saw who had gone days without proper meals or a change of clothes, and who don’t know what the future holds for them. Also on hand for the day was Carole Wood, an attorney with the Camden Center for Law and Social Justice. She pointed out that the United States denies 70-80 percent of applications of individuals seeking asylum, but that a parish community can sometimes help individuals with their cases. In doing so, by making sure Spanish-speaking individuals and families are fully integrated into their communities, parishes may be helping themselves. During the past century, Hispanics and Latinos have accounted for 71 percent of the growth in the U.S. Catholic population, Wallace said. But he also noted that trend is not guaranteed to continue, citing research that nearly 14 million Hispanics — mostly young and U.S.-born, baptized and raised Catholic — have stopped identifying themselves as Catholic. 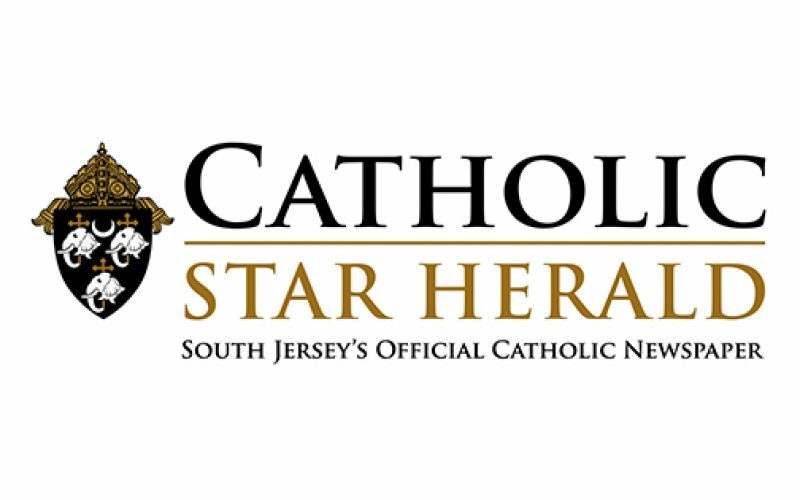 A similar Spanish language program was held May 5 at the John Paul II Retreat House in Vineland, drawing about 80 participants. The main speaker there was Roberto Rojas, CRS senior advisor for National Hispanic Engagement.